Event Wizard® Mobile is Here! Last Thursday Event Wizard® Mobile was released for Apple, Android and Blackberry devices, making it a snap to manage your events onsite and on-the-go. Event Wizard® Mobile is free to use but you must have an Event Wizard® account to use it. We had been thinking of a mobile app for quite sometime but knew it needed to be done right. The big question through the entire process was, what did the on-the-go Event Wizard® user need? Keeping this in mind ensured we built only the core functions that a user onsite and on-the-go needed and left out bloated features and functions that wouldn’t be used. 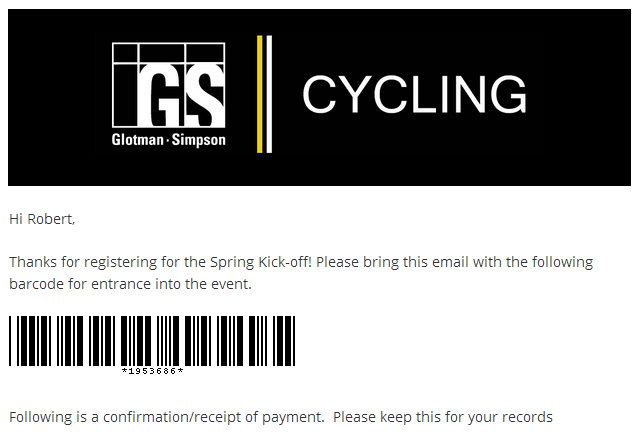 As a result we made sure functions like checking in attendees and checking your registration counts were included. You can even submit a support ticket if you need assistance with your account when you’re not near a computer. Head over here to get Event Wizard® Mobile on your smartphone or tablet. Once installed open it up and enter your Event Wizard® login information. The next page is your home screen. From here click Manage Events to access your events. At this point it will all be very familiar. Click on any of your events and off you go. If you require any support assistance use the app’s interface to submit a ticket just like your regular account. We hope you like the app and would love the hear any feedback you may have. In the meantime go take your event on the road, it can do that now! As you know, we’re now partnered with QuickMobile, developers of custom, branded mobile event applications. 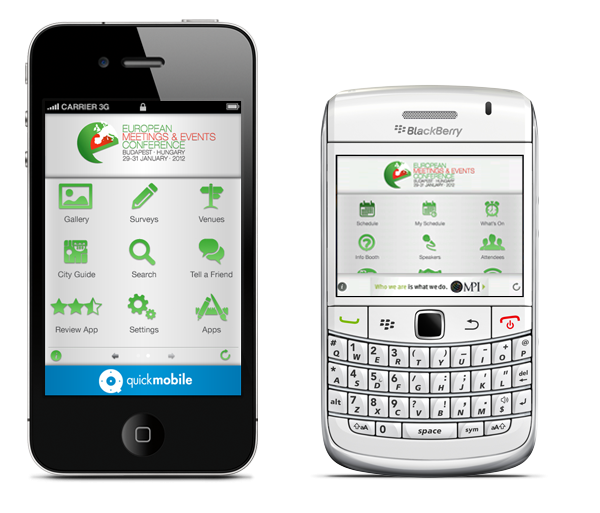 QuickMobile has created some of the industries most sought after event applications for a variety of mobile platforms, including iPhone, Android and Blackberry. In an effort to better showcase their great work and what the possibilities are for you as an Event Wizard® user, we will now be bringing you the QuickMobile Featured App post, straight from the QuickMobile showcase. QuickMobile developed the mobile event app for the MPI European Meetings & Events Conference, January 29-31 in Budapest, Hungary. 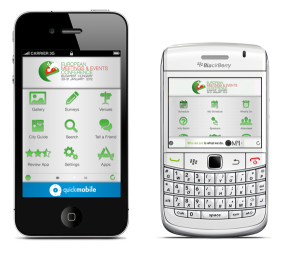 Developed for iPhone and Blackberry platforms, the mobile event application delivered a comprehensive range of features, including a searchable schedule of conference events, detailed attendee, speaker, exhibitor and sponsor profiles, participant to participant messaging, access to the MPI Twitter feed, Facebook page and Engage blog, venue information and mapping, information booth, photo galleries and surveys. Learn more about how a mobile event app from Quickmobile can benefit your event, just like it did at the MPI European Meetings & Events Conference https://event-wizard.com/features/mobile-event-apps/.